As the Rimouski Océanic continue to battle for positioning in the upper half of the league standings, one of the catalysts of their success has been the latest Forward of the Month, center Jimmy Huntington. In ten November games, the 20-year-old from Montreal scored 12 times, added seven assists and registered a +12 rating overall. Held off the scoresheet just once during the month, Huntington recorded six multi-point contests while entering December on a seven-game point streak. 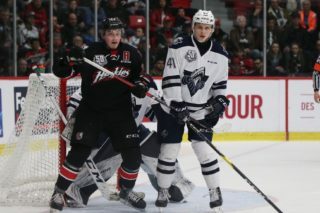 One of the league’s top players in the faceoff circle, the fifth-year QMJHL veteran boasted a 60.6% winning percentage in that category during the month. 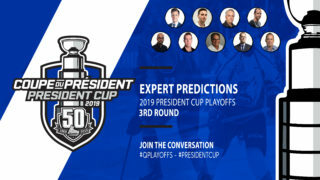 A 2014 selection of the Acadie-Bathurst Titan, Huntington currently sits ninth in the league with 38 points in 27 games, while his 21 goals rank second in the “Q”. Earlier this season, he was invited to NHL training camp with the Winnipeg Jets. Thanks to a red-hot November, Sherbrooke Phoenix winger Alex-Olivier Voyer is on pace for a career year in the QMJHL. The 19-year-old from Sherbrooke recorded points in the first nine games of the month, part of a ten-game streak overall. Seven of his outings in November were multi-point contests while four of those games were multi-goal affairs. On November 4th, Voyer fired home his first career QMJHL hat trick in a victory over the Charlottetown Islanders. 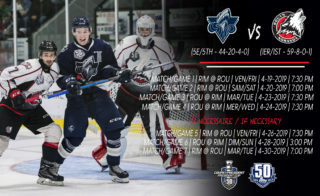 A first round selection of the Rimouski Océanic, Voyer currently leads the Phoenix with 30 points in 28 games, just two short of his previous career best set in 55 games last season. After being named as an Honorable Mention for the award in October, Rimouski’s Charle-Édouard D’Astous has claimed the top honor for rearguards for November. 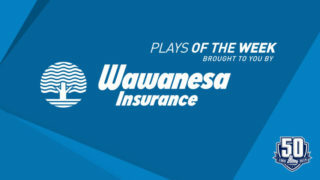 The 20-year-old from Rimouski started the month off with a bang, recording four points in a victory over the Saint John Sea Dogs. From there, D’Astous racked up points in seven of the next nine games, including a pair of three-assist contests and one match with two helpers. Additionally, the fourth-year veteran produced a +10 rating overall for November. 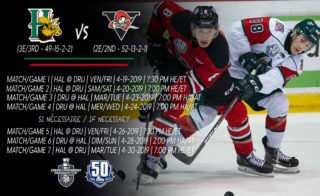 A fourth round selection of the Océanic in the 2015 QMJHL Entry Draft, D’Astous currently leads all blueliners in scoring with 37 points in 25 games. His 29 assists are also good for top spot overall in the QMJHL. D’Astous was invited to NHL training camps with the St. Louis Blues and Ottawa Senators in 2017 and 2018, respectively. One of the most consistent offensive defencemen in the league this year, Leon Gawanke finds himself sitting second in scoring among blueliners with 31 points in 29 games, just one shy of his previous career best in the QMJHL. The 19-year-old from Berlin, Germany was held pointless in just one contest during the month, while also completing a 12-game point streak in the process. Included in that sequence was a career high four-point outing against the Shawinigan Cataractes on November 18th. Selected by the Winnipeg Jets in the fifth round of the 2017 NHL Entry Draft, Gawanke will represent Germany at the upcoming IIHF Division I World Junior Hockey Championship. A second round selection back in the 2017 CHL Import Draft, Lauko has proven early on that his arrival was well worth the wait for the first place Huskies. The 18-year-old Czech forward produced four multi-point games during November, including a pair of two-goal outings. As a member of the league’s top defensive club, Lauko also boasted a +11 rating for the month. This recent scoring barrage has lifted Lauko into third place in the rookie scoring derby with 25 points in 24 games. His 12 goals rank second among all freshmen in that department. Prior to making his debut with the Huskies this fall, Lauko was a third round selection of the Boston Bruins in the 2018 NHL Draft. 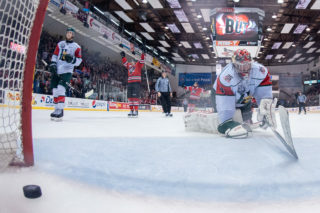 Biakabutuka’s first season in the QMJHL truly took off in November. Entering the month with two points in his first 15 games, the 16-year-old from Longueuil, Quebec proceeded to go on a tear. Included in his offensively charged November was his first career QMJHL goal on November 9th against Baie-Comeau, as well as his first two-point game, a feat he accomplished twice during the month. Selected 17th overall in last June’s QMJHL Entry Draft by the Foreurs, Biakabutuka was also a +9 for the month.